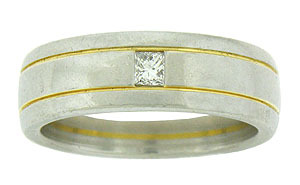 This thick platinum wedding band is simply adorned by two rings of 14K yellow gold and set with a single brilliant square cut diamond. 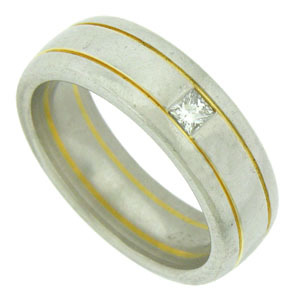 The handsome wedding ring measures 7.32 mm in width. Size 10. We cannot re-size.